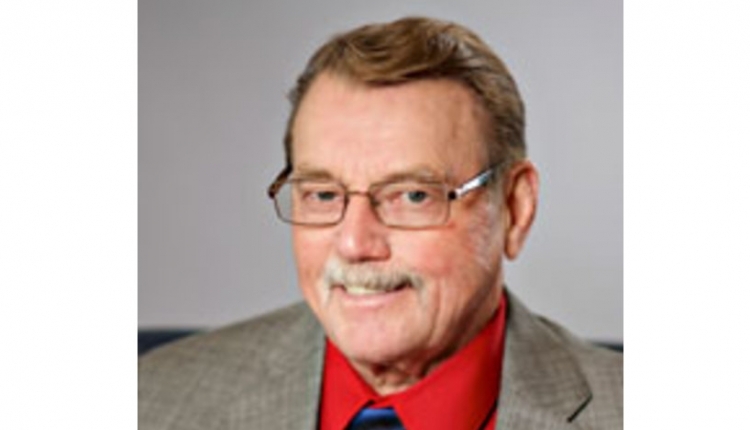 With the holidays fast approaching, the National Milk Producers Federation (NMPF) today released its own version of Santa’s “Naughty or Nice” list focused on good and bad actors in the labeling of fake dairy products. 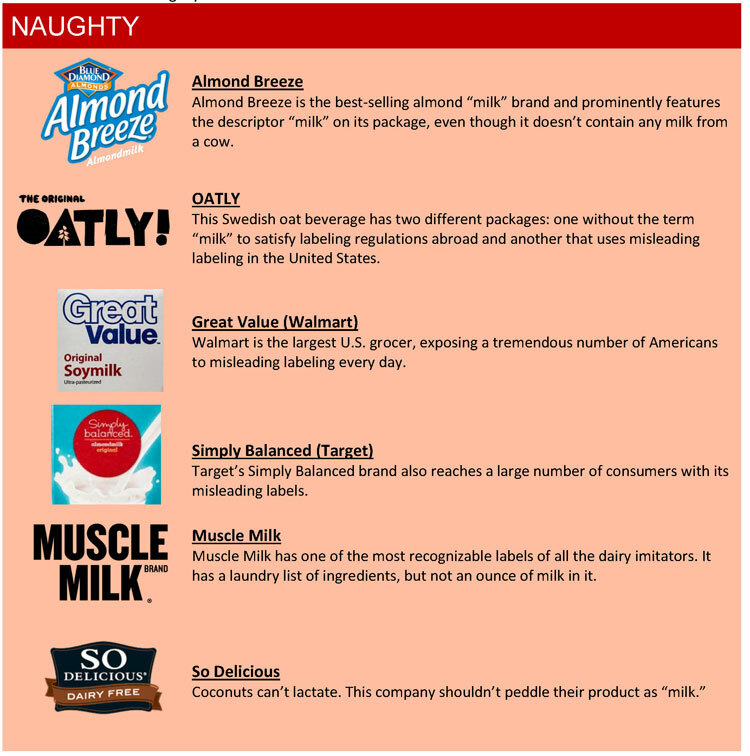 On the “naughty” side: beverage brands that use the word “milk” to sell nutritionally inferior non-dairy products. These include Almond Breeze, Oatly, Great Value (Walmart), Simply Balanced (Target), Muscle Milk, and So Delicious. And on the “nice” side: brands that lead with truthful food labeling by avoiding the term “milk” and offering an accurate description of what their products are – non-dairy beverages. 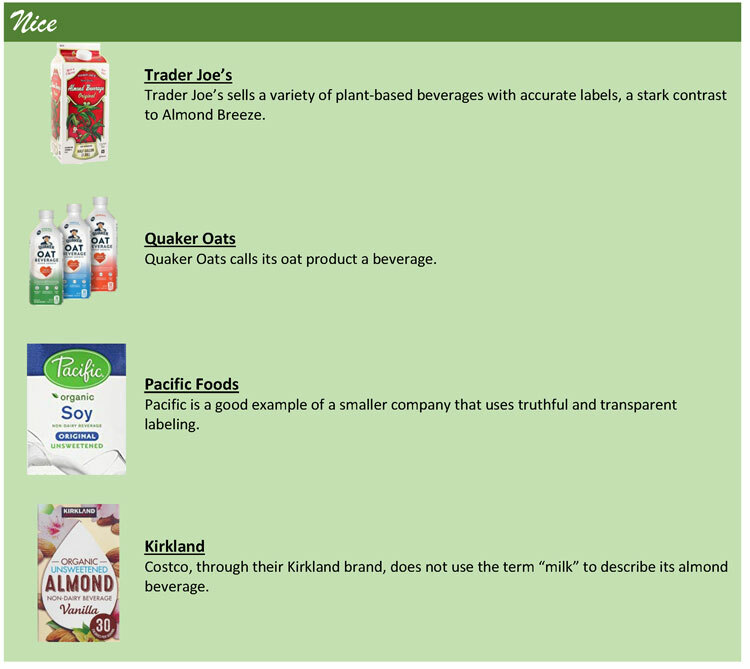 Trader Joe’s, Quaker, Pacific Foods, and Kirkland (Costco) are on this list. NMPF’s “Naughty or Nice” list comes as the U.S. Food and Drug Administration (FDA) continues to solicit public comment through Jan. 28 on the proper names for plant-based beverages. The Agriculture Department already has a clear definition of what constitutes milk: “Food products made exclusively or principally from the lacteal secretion obtained from one or more healthy milk-producing animals.” Plant-based beverages don’t meet that standard. NMPF is calling on the FDA to enforce its own rules and end deceptive labeling of fake dairy products. Misinformation was more prevalent among those who only bought plant-based drinks. Of those buyers, 68 percent strongly or somewhat argued those drinks have the same nutritional content as dairy milk. In reality, those beverages do not.